The natural health world is full of supplements, superfoods, and botanicals shrouded with tons of health claims. One buzzword related to the above: adaptogen. What exactly are adaptogens? There are a lot of ideas about these herbs and mushrooms and how they could potentially boost overall health—but what they truly do all comes down to what they are called. “Adaptogens” are named because they help the body adapt to many the things around us that wear away on our health: poor diet, stress, and more. 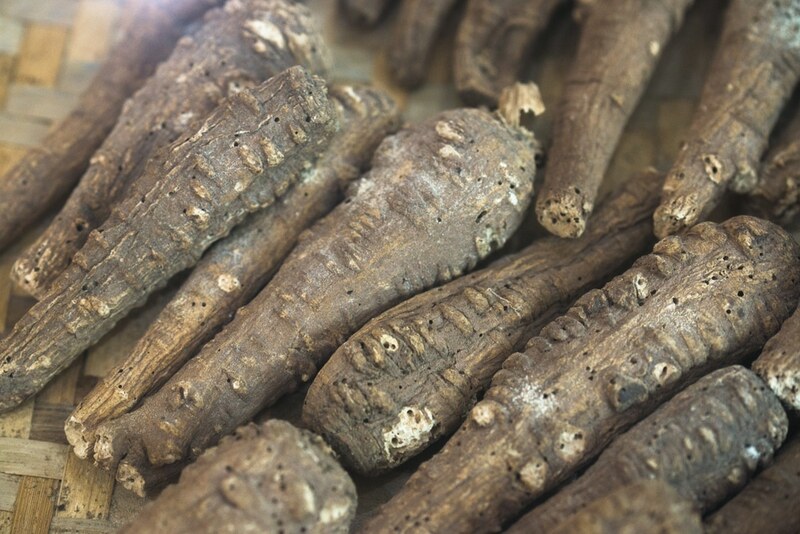 Botanicals like rhodiola, ashwagandha, gynostemma, and cordyceps have all earned the adaptogen title. But there’s one herb that may embrace the calling of adaptogen much better than most others given that name, and that herb is Schisandra. On top of being a health-packed herb, Schisandra also happens to be a beautiful plant. Native to China, it goes by the name Chinese magnolia-vine, because it does indeed grow in a vine-like manner— but with woody bark, not unlike a magnolia tree. From its branches grow beautiful drupes of bright red berries. These very berries are what have drawn the interests of traditional herbalists in Asia for healing purposes and, today, the intrigue of medical researchers. Another name Schisandra earned in its ancient days: five flavor berry. This is based on the belief that the berry contained all five flavors known to man, and thus had all the possible healing properties known to man, too. WHAT HEALTH BENEFITS DOES SCHISANDRA HAVE? Schisandra has gained a reputation as a “heal-all” or panacea over the centuries. But can Schisandra really heal just about anything? Scientific studies have proved this to be unlikely. But what’s been discovered instead is that Schisandra, relatively speaking, is still capable of doing quite a few favors for health nonetheless—and each of them are quite impressive. There are many different species of Schisandra, all falling under the scientific genus Schisandra. Research on these plants have yielded an amazing array of benefits possible for those who take a supplement of the herb, particularly from its berries and the healthful compounds they contain—and the following are most notable. When it comes down to being a true “adaptogen,” all adaptogens have one thing in common: they tend to be chock-full of antioxidants. Schisandra’s antioxidant richness may just be its central trait. If there’s any nutrient in herbs that provides whole-body protection from a wide range of illnesses—just as adaptogens provide—then it would be antioxidants. These compounds reduce free radical damage and oxidation, both of which are the source and cause of many diseases and all manner of unwellness. Schisandra’s antioxidant content has also been confirmed in studies, such as this one. What’s more, these antioxidants may be responsible for a lot of the healing berry’s other benefits—including immune benefits. In addition to free radical fighting, Schisandra may also empower immunity. It might just do this through antioxidant action, which is known to help the immune system naturally—but scientific research shows that there may be something more to it than just that. As a matter of fact, one study showed that Schisandra berries—and extracts made from them—contain polysaccharides. When used on test subjects with suppressed immune systems, the extracts containing these plant compounds helped restore their immune systems to normal. As we all know, supporting the immune system is important. Count on Schisandra to provide some supplemental support through those brush-ins with colds and flu, infections, and who knows—maybe even issues like autoimmune conditions, too. Many don’t realize it, but issues with inflammation (especially chronic inflammation) can stem from low immunity. Antioxidants are known to help with inflammation, as well, and Schisandra is a great example of an adaptogen with no shortage of them. But, like with immunity, Schisandra may have another angle that helps with inflammation. In this study, use of Schisandra extract was tested on lung inflammation, the type that could occur in a respiratory infection. The outcome: Schisandra greatly helped with the inflammation. Though this makes the berry great for people pursuing an anti-inflammatory diet, for example, this also hails back to its traditional use—as a respiratory remedy for colds and the flu. Why is the liver so important? Why should we take care of liver health? For one, we need the liver if we want to detoxify at all—it is the body’s way of naturally cleansing itself, and it’s a vital thing to support. 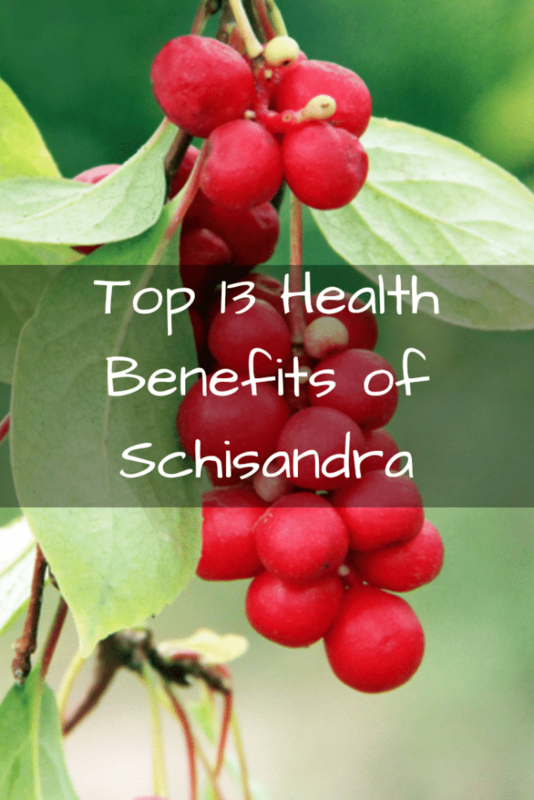 Better yet, Schisandra may be able to help, studies show. One study used Schisandra on test subjects with fatty liver disease. The results were amazing: it helped slow the progression of the disease, protect the liver, and aid the restoration of liver cells back to normal. Though more studies are needed to explore this, Schisandra may one day be able to help treat liver diseases. In the meantime, it’s a great detoxifying adaptogen to turn to. If there’s an organ that could be considered more important than the liver, it would be the brain. Apparently, Schisandra may also have a hand in protecting that. This is especially the case when it comes to improving memory. A number of studies have examined this ability in Schisandra. This one in particular showed that Schisandra B, a “lignan” (a type of antioxidant) unique to the berry, helped with memory. In the study, subjects with memory issues were given the berry. It appeared to be a great help by enhancing cognitive faculties. Researchers have thus theorized that Schisandra could possibly help with problems like dementia, though other studies will be needed on this eventually. Extending out from the brain, there’s a good chance Schisandra doesn’t just protect that noggin’—but also the nervous system in its entirety. It appears that this is owed to the very same antioxidants that help protect the brain, according to this study. In this research, antioxidant lignans were shown to be neuroprotective: meaning, they helped protect the nerves and neurons from damage. This could mean great things for the natural treatment of neurological disorders. In addition to dementia or forgetfulness, Schisandra may come to the aid of illnesses like Parkinson’s disease, Alzheimer’s, Autism and ADHD. Before being seen as a treatment, though, more studies will be needed. Issues like anxiety, stress, and depression are all rooted in the brain and nervous system. As it so happens, support for anxiety is one of the issues Schisandra berry is best known for—and it is still used often for this among traditional herbalists today. The Chinese five flavor berry is a renowned tonic for strengthening the nerves. Studies show that if people lose their nerve—whether due to stressful experiences or ongoing anxiety—schisandra may lend a helping hand. In one study, use of berry extract had effects that were described by researchers as “hypnotic” and even “sedative,” meaning that they were calming (and possibly even promoted restful sleep). Especially as we age, a lot of us are looking for ways to jumpstart heart health. Owing to the natural degeneration of tissues, plus the increase of high blood pressure as people get older, some of us will take all we can get. For those who’ve tried everything, a little Schisandra might not hurt. In fact, research shows that its antioxidants could be surprisingly and directly quite helpful. One recent major review even called for more research into the use of Schisandra one day for helping treat various heart diseases. Until that day, though, the berry remains a research-supported and trusty heart-healthy supplement. Besides heart health, there’s another perk to be found in Schisandra, and another point in our health that we tend to get sensitive to as we age: weight. Could Schisandra help shed those pounds? Not exactly—and it’s certainly no magic bullet that makes fat just slide right off. However, studies do show that it has anti-obesity benefits: the research showed that Schisandra helped catalyze metabolism, which in turn made subjects better manage weight naturally. It’s a far cry from being any sort of diet pill. But, in addition to proper diet and exercise approaches, Schisandra might just provide the icing on the weight loss cake. Diabetes (especially type 2 diabetes) is becoming one of the most common chronic illnesses in the world. Since obesity and metabolism—as well as inflammation—play a role in the disease, could Schisandra provide some natural benefits for diabetes? Studies suggest that yes, Schisandra may be beneficial. One, in particular, showed that Schisandra helped lower blood sugars to a considerable degree, and it also helped the body metabolize fats better. Both, working hand-in-hand, could improve one’s chances against getting diabetes—or, it could provide some natural support for people who already have it. It’s been a while since we talked about how Schisandra helps protect the liver, as described earlier in this article. But when it comes down to it, protecting liver health is not doing much if one isn’t supporting kidney health, too. Like the liver, the kidneys are important detoxifying organs. Luckily Schisandra isn’t just a liver healer, it’s also a kidney healer. In studies, too, this Asian adaptogenic berry was given to test subjects with kidney issues (particularly issues related to diabetes), and it appeared to help with those issues greatly. As a finale to Schisandra’s numerous benefits, this adaptogen may be a force to reckon with when it comes to cancer support, risk reduction, and protection. Could Schisandra be called a cancer remedy? Definitely not. But that’s not to say that there isn’t evidence supporting that it could reduce risk, especially as a basic plant antioxidant—though studies also show it can trigger cellular death of cancers in some test subjects, which is a very intriguing and exciting prospect. Schisandra is just one herb of many in our energy, stress, glandular, hormone, and adrenal-focused herbal formula, Endo Adrenal. 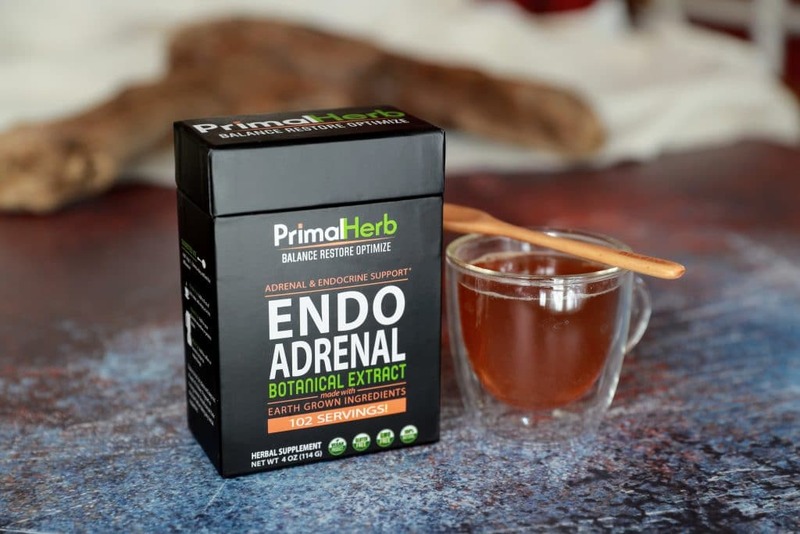 Get support for the endocrine system, thyroid, and the adrenals with the help of Schisandra – as well as other notable ingredients supported by both research and historical use together.